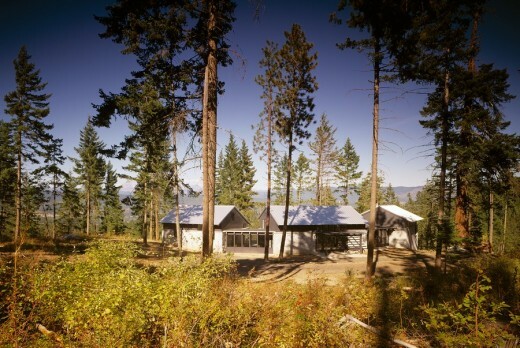 Echoing shapes of the mountain views in the distance, this family retreat distorts local vernacular shapes. 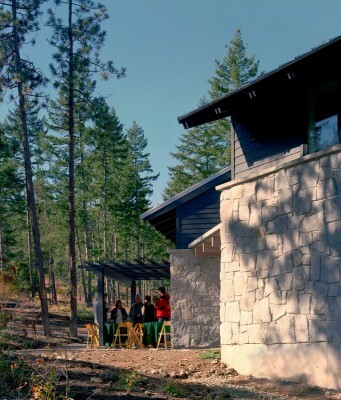 The structure is pulled apart into three houses to provide added privacy, to protect the exterior terrace, and to inflate the scale of the building to match the heroic setting among rocks and pine trees. Simple vernacular boxes become, through the device of skewing an exterior wall, a series of dynamic interior volumes and exterior forms. A constant ridgeline is maintained. 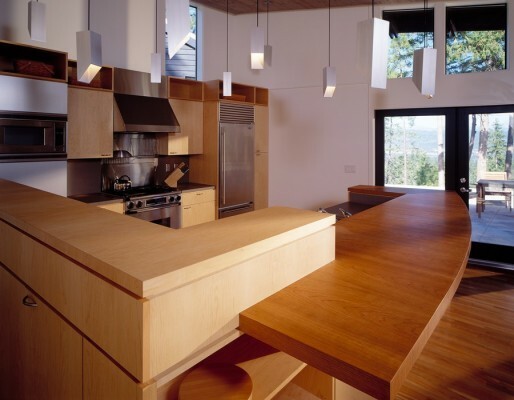 Non-orthagonal shapes are created with factory-built trusses (each one is unique size) allowing for swift, repetitive on-site construction. 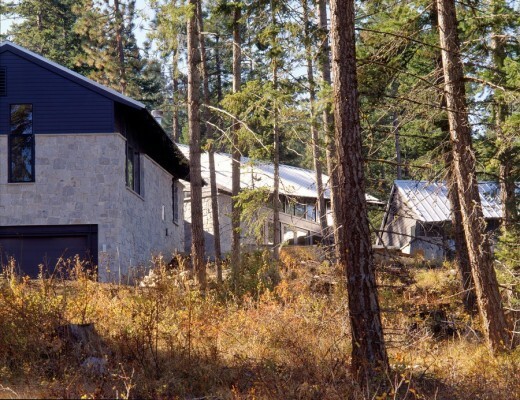 Due to the high risk of forest fire, the exterior is clad with fireproof surfaces of local granite, pre-cast concrete, fiber-cement lap siding, aluminum windows, and metal roofing. The arbor is constructed from steel. 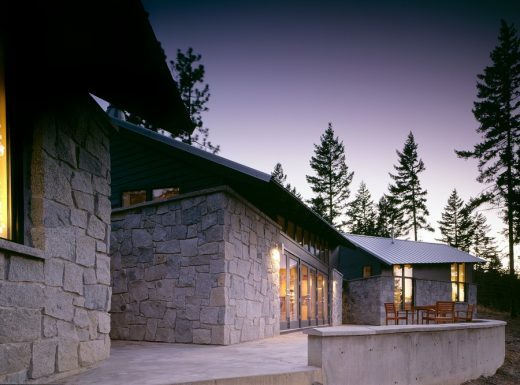 A fire sprinkler system provides added protection. 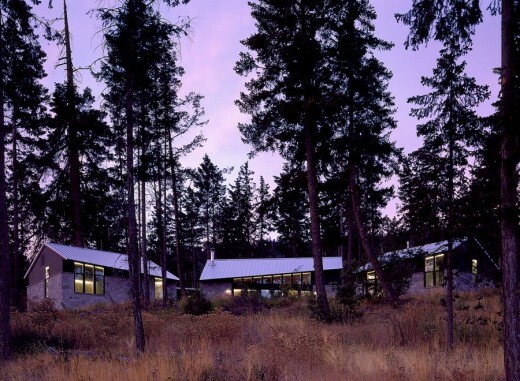 Day-lighting is achieved through north-facing view windows and doors combined with south-facing clerestory windows and doors. 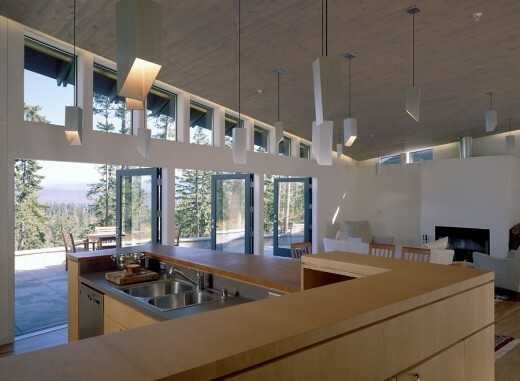 Ceilings slope up to the sun, and pitch down to the view. 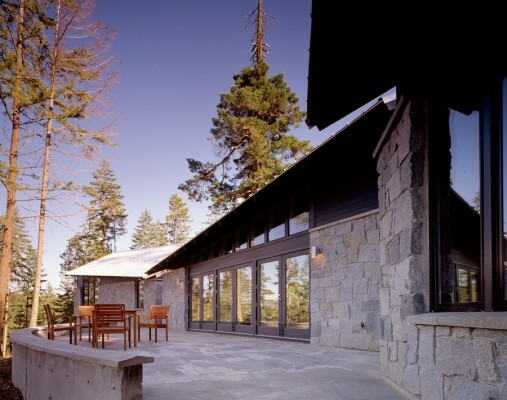 Connecting corridors act as heat-collecting sunrooms in cold winter months, and can be opened for cross ventilation in the summer. Interior finishes have the refinement of a casual urban home, with no rustic treatments. 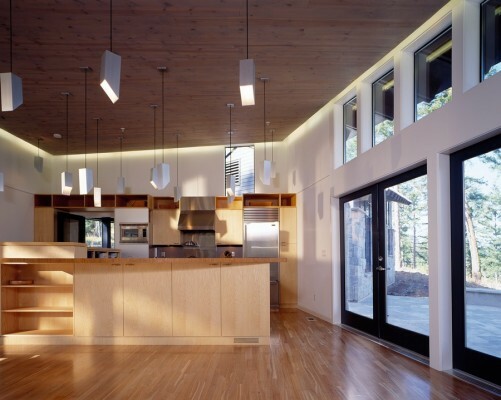 A wood-covered ceiling is suspended just below the trusses to allow integration of perimeter lighting. 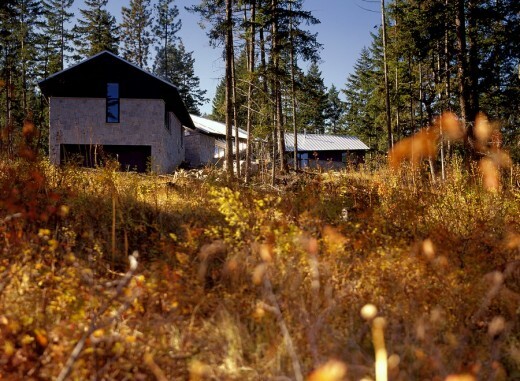 Compositions are asymmetrical to maintain the relaxed atmosphere.